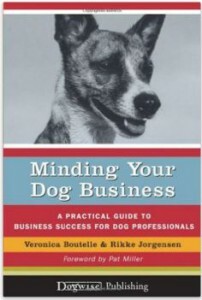 Veronica Boutelle writes her second volume on running a successful dog business. This time, the book focuses on maintaining a sustainable business, rather than start-up aspects. This is the review I’ve written for it. This entry was posted in Dog writing and tagged dog business, dog entrepreneur, DogTEC. Bookmark the permalink. Post a comment or leave a trackback: Trackback URL.